We are a bit out of sequence here. These steps were done prior to the dry assembly evaluation. Material was milled for the drawer web frames. Mahogany for the front frame rails. They have tenons into mortises on side assemblies. Rear rails and side runners are poplar. They use sliding dovetails into sockets in the side assemblies. 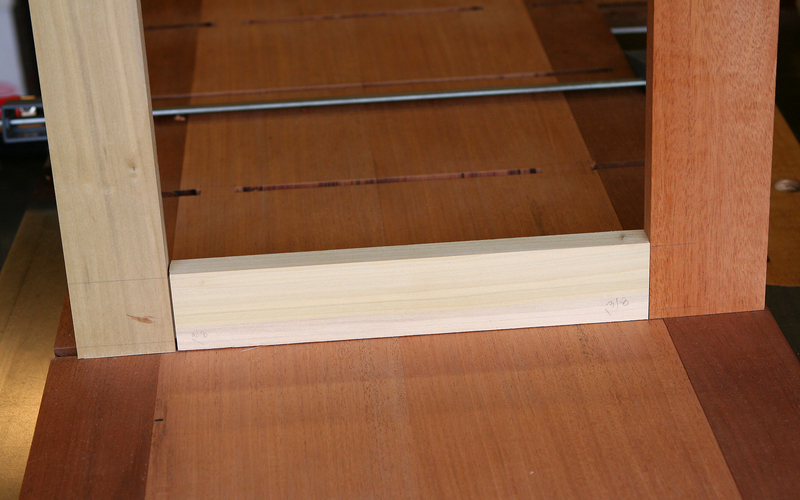 The side pieces have tenons to fit into front and rear rails. They will be glued to front pieces and left to float in rear rails. Side runners also have stopped “tongues” that ride in side dadoes for a bit of support. No glue on these. The top web frame also has a middle runner that is used for the two side-by-side top drawers. This uses the same mortise and tenon joinery, but without the tongues. 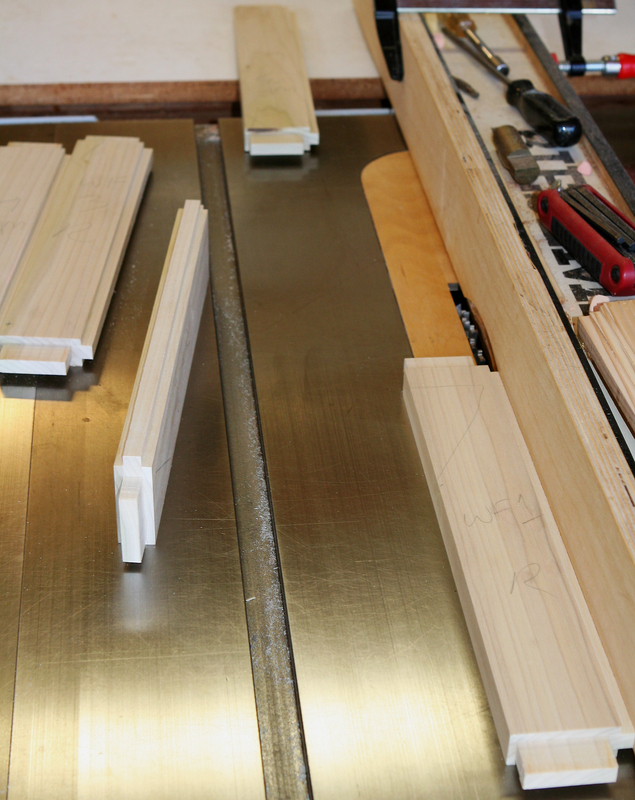 Mortises were cut at the router table and the tenons at the table saw using a dado stack. These were intentionally left slightly oversized in thickness, then were fine tuned using a shoulder plane for a snug fit. Once the joinery was completed the frame components were placed into the side assemblies to verify fit. 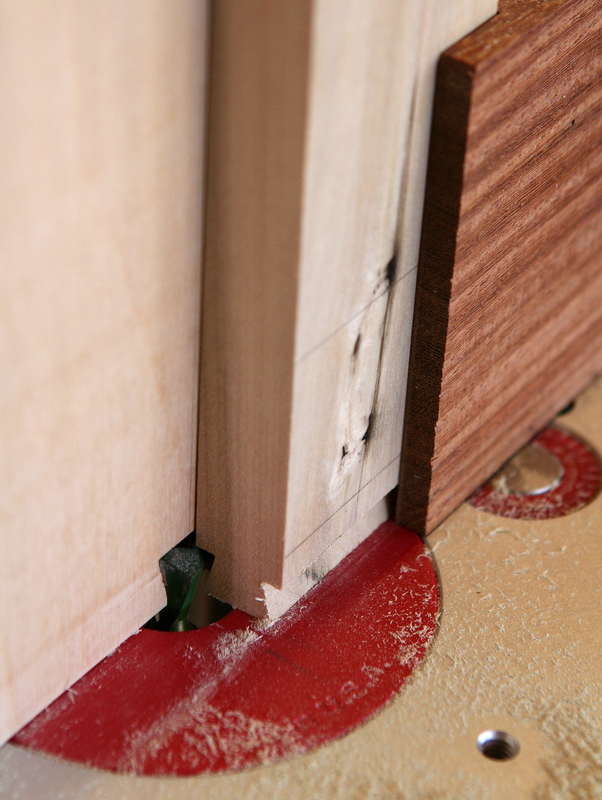 In the images you can see a small gap intentionally left at the rear mortise and tenon for wood movement. The top row vertical divider will be cut after a dry assembly is made to verify location and dimensions. That divider will use a sliding dovetail. A driveway designer and woodworker sharing thoughts, experiences and impressions of the journey.